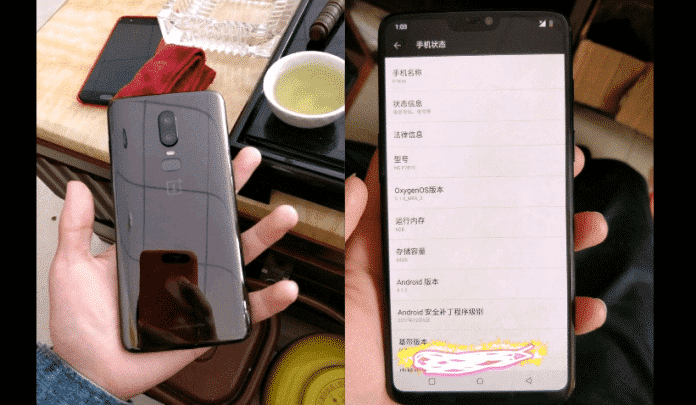 Rumors of the next flagship of OnePlus line-up, OnePlus 6 have already starting doing the rounds after the launch of Samsung S9 and S9+. The OnePlus 6 will be a major redesign of the OnePlus 5, and is expected to come with an iPhone X-like notch, according to Android Central, who cited sources familiar with OnePlus, and published information about the upcoming device, including screenshots and benchmark scores. The screenshots have a large status bar, which confirms that the OnePlus 6 will have an iPhone X-like display notch at the top of the screen for the camera and speaker cut out. Further, the OnePlus 6 is expected to have a display with 19:9 aspect ratio to basically make up for the space lost by the notch. Besides this, it will also have a full glass back, bezel-less display, vertical dual-camera setup along with the LED unit, a rear-mounted fingerprint scanner and a centrally-aligned OnePlus logo. The content of the screenshots also show an AnTuTu benchmark with an overall score of 276,510 for the upcoming device (handset is codenamed A6000), which is a clear indication of the phone packing in a Qualcomm Snapdragon 845 chipset. This is no surprise, as OnePlus CEO Pete Lau in January too had confirmed their 2018 flagship would be powered by the new processor. OnePlus 6 is expected to run Android 8.1 Oreo and it could come with 6GB RAM and 64GB inbuilt storage. While it is unclear whether any of the specifications is accurate, we could hear a lot more about this smartphone in the coming months before the official announcement of OnePlus is made, which is likely to happen in June. Keep watching this space for more updates!